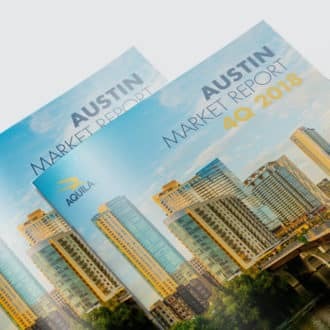 AQUILA Commercial today announced Goodwill Central Texas (“GCT”) has signed a 107,780-square foot lease at Heritage Crossing Building 5 in north Austin, Texas. Goodwill will occupy the entire building. Building 5 is currently under construction and is set to deliver late summer 2018, and Goodwill will occupy later this year. Goodwill currently occupies 95,270 square feet in Heritage Crossing Building 1. Upon the completion of Building 5, Goodwill will relocate out of its current space. In addition to the relocation, Goodwill has also extended its lease term. Leigh Ellis and Jay Lamy of AQUILA Commercial represented Goodwill Industries of Central Texas, and Sam Owen with Stream Realty represented the landlord.